Interesting take on things. I believe in preservation of life as well. Will have to think on this. FYI, with invitro fertilization, there are almost always many embryos emplanted, with the stronger/most health one being kept and the rest being aborted. This increases the odds of the healthy baby making it to term and increases likelihood of a successful pregnancy. So technically, as commonly practiced, this would be similarly abortive. Right, good point. I didn't mean to imply that IVF is always done in ethically appropriate ways. In my opinion, IVF is only morally permissible when either all of the embryos are implanted, or alternatively, when embryos that are not implanted are donated to an embryo adoption agency. 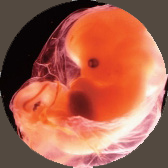 Every embryo should be given a chance at life, and that is the controlling moral principle that I think is important to follow in these cases. Thanks for the comment! Everything that I have ever read on embryonic stem cell research says it comes from 5 day old gestation done in a pteri dish. Not from aborted fetuses. In fact 8 weeks old would be way too far along. Where is this information from? Id like to be properly informed. Thank you for writing this, and laying out your reasons and beliefs so clearly. I too believe in the importance of being informed, and not simply caught up in hype (though I'm glad for the awareness raised). That's a good point about the monies potentially going to ESCAPE research. But do you know of any alternatives to financially support ALS research? Can't each donor specify NOT to have their monies used for that kind of research? Most women going through IVF ate dealing with infertility, so even with the stimulating meds, we aren't producing more than 8-10 eggs in the first place. Second, most Dr's will only implant 2-3 embryos bc they'd rather NOT have to go in and reduce after the fact. Remaining embryos are usually frozen for future use if the first attempt doesn't succeed. In my case, we could not afford to freeze embryos, so we asked to only have 2 eggs fertilized and implanted, meaning there will be no embryos un-used or destroyed. Our dr was very understanding and agreeable to our prolife pov. I think the methods of IVF are much more respectful of life creation than they perhaps used to be. Just wanted to say that bc there's a lot of misconceptions about it if you're not going through it. Thank you. The only prolife alternative that I know of that specifically supports medical research is the one I listed above. It is John Paul II Medical Research Institute. You can check it out here: http://www.jp2mri.org/ They do not deal exclusively with ALS, but are targeting medical research on a variety of neurological diseases, including ALS. If anyone else knows of another, I'd love to update my post with it. The other ALS foundations I found that were potentially pro-life friendly seemed to deal with the quality of life for people diagnosed with ALS rather than medical research. Greg has been living with ALS for a decade. The family would like to buy a ventilator for him. You may want to consider ALS.NET instead. Their stem cell research is do exclusively using adult stem cells. If you would rather full grown, sentient adults to suffer inside of their own bodies than fetuses which cannot feel anything and do not have sentience to be used for research, you should probably sort out your priorities. It looks like so many people are donating that the site is overloaded. Pretty sweet stuff. My blog has had over 60k visitors today, so it's pretty cool to see people are donating too! Hopefully it comes up soon. Why do you assume that sentience and the ability to feel pain are what makes a person's life valuable? If someone did not have the ability to feel pain (perhaps due to paralysis) or sentience (perhaps temporarily in a coma), would it be okay to perform lethal experiments on them? What is the significant difference? actually i also agree that stem cell research is wrong. but i have to say there are a few organizations that you can donate to that do research for als without using stem cells from embryos team gleason is one of them so instead of saying im doing the challenge and not donating why not research and find one tht is okay to donate to again team gleason. i promise yoiu an ice challenge and donaton headed their way will eb something that as a christian you can trust your money will not go to embryonic stem cell research but instead other okay alternatives . knowledge is power... I really appreciate you man. People should be aware that there are a lot of ways to do stem cell research that do not include embryonic stem cells. And when investigating they should pay attention to the type of research being done. While some parents are now harvesting their childs very beneficial stem cells after birth from the cord and placenta, the majority of these stem cells are thrown away. Thousands of pounds of beneficial stem cells are thrown away everyday that could be used for research instead of embryonic stem cells. And alot of health care progress was made by the Nazis from "research" done on Jews in concentration camps. Does that make it okay because they learned things that now save people's lives? After reading your post, I went to ALSA.org to actually confirm that a person could "designate" his or her donation so that it did not fund embryo stem cell research. I found no such place on the form. You could "designate" the donation to be in memory of someone, but not that it go to a particular type of research, either through the online form or through the printable one. So how does this "designation" happen? Do you have to write a personal letter asking that it not be used for a particular type of research? Or would it be better to simply direct funds to a different group, still in support of ALS research and care? Well then, you can donate your $100 to the ALS Guardian Angels, who provide services and equipment to families of people suffering with ALS. Great idea The Domestic Queen! I don't know why no has mentioned this group to this point. This group is doing some great work caring for people suffering with ALS and their families. Go to http://www.alsguardianangels.com/ to find out more. Wow. Thank you so much for this information. I've looked into adult stem cell research for Parkinson's Disease; and adult stem cells (no one is murdered) are far more successful than any embryonic stem cells. God cannot work through evil means. Great point about jumping on the social media bandwagon, too! Live and learn. Thanks for posting your views. I, too, am against using human embryos and fetuses. Not only do I feel it is immoral, but it is unnecessary. Stem cells from rodent embryos and fetuses work just as well. Plus, even though adult people stem cells are restricted to where they came from in the donor's body, human placenta stem cells are just as versatile as human fetus and embryo stem cells. We need to be supporting the search for a cure for these horrible diseases, but we also need to be vocal that there are completely ethical alternatives. Wow! I've received a flood of comments overnight! I just wanted to say that I appreciate the time each of you took to read and interact with my thoughts. For those of you who feel offended by my post, I'm truly sorry. I know that for many people ALS is a subject that brings up painful and raw emotions. I'm truly sorry if my post communicated a lack of empathy to you. I know that ALS is a heartbreaking disease. However, that doesn't change that I feel I cannot in good conscience support an organization that contributes towards the destruction of innocent life. For those looking for an alternate organization to contribute towards, may I humbly suggest you check out this website: http://judsonslegacy.org/. Saving a human life is a good thing, but not at the expense of another human being. Take one life to save another, that doesnt make very much sense at all. "There's more than one way to skin a catfish." Embryonic stem cell research isn't the only method available. Isn't it true that cord blood at birth contains these same stem cells? Why aren't those kept for research when parents decide not to bank the blood for themselves? Im not religious in any way now. i was brought up Mormon until i was 12 and left on my own. I see What Nathanel is saying. I do not believe in any type of abortion. No matter the scientific outcome. I love science its one of the reasons i am not religious. Saying that it is ok to create a life just to go around and kill it after it has done its purpose, it just out right wrong.